This innovative, practical and well structured workshop – one of the latest courses put together by Master Choa Kok Sui – uses a revolutionary approach for the success and financial prosperity of your business, based on ancient spiritual and esoteric principles made relevant for the modern world. Through understanding and the right uses of energy and spiritual laws, you will learn how to realize plans, projects, a positive organizational environment, increased employees’ well being, productivity and cooperation/harmony. This course is not just about business or for people in business, but also for anyone who is interested in ‘life management’ – gaining deeper understanding of the challenges put before us and what to do about it. 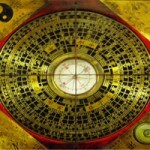 The foundation of the science of placement or Feng Shui. Master Choa Kok Sui through direct knowledge given to him by His Respected Teacher Mahaguruji MeiLing revealed the secrets of Feng Shui never before divulged to the general public on how to optimize your life and profession -health,success, prosperity and spirituality. Secret Directional Feng Shui: learn and find out for yourself the various directions affect your finances, success, relationship, business, health etc. How to choose art and paintings for your home or office to enhance harmony, success, cooperation etc. 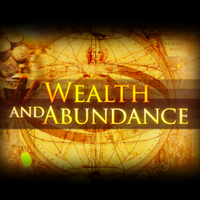 Material abundance gives you freedom to pursue spiritual goals. Kriyashakti teaches you how to properly harness the power of your thoughts, subtle energies and your auric field to create a life of prosperity and success both materially as well as spiritually. Understanding the universal laws underlying the materilization of your goals and petitions – or the lack of it – this course covers specific techniques to create abundance and materialize prosperity, relationships; and to concretize short and long term goals effectively – to understand obstacles and how to heal your life. Material abundance gives you freedom to pursue spiritual goals. Kriyashakti teaches you how to properly harness the power of your thoughts, subtle energies and your auric field to create a life of prosperity and success both materially as well as spiritually. Wesak refers to the full moon of Taurus, believed to be the most powerful full moon of the year. This festival happens every year when the Lord Buddha and the Great Masters channel Divine Blessings to the whole world. Wesak is therefore a time of dedication and service, to bring ourselves closer to the light and above all, to focus on the needs of our fellow human beings and the necessity of providing a group to channel the spiritual forces and blessings to the humanity and to the world. Pranic Healers are welcome to attend even if not attending Kriyashakti. Friends and family with meditation experience welcome. 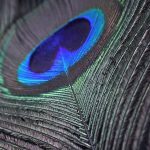 This course teaches how to achieve calmness, understanding, efficiency and success in all facets of everyday life through a greater soul connection. 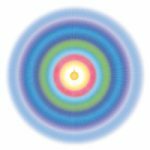 With further development, an experiential realization of the nature of the soul – a being of light travelling in all directions throughout the physical and inner universe. An ancient technique towards spiritual development kept secret through the centuries and for the first time revealed. Learn how a soul chooses its parents, the place of birth, etc.. It develops intuition, advanced mental powers, refined emotions and longevity – safely. “ARHATIC” is derived from the word “arhat”, a highly evolved being. This advanced yoga system is the synthesis of all yogas (Raja yoga, Karma yoga, Laya/Kundalini yoga, Jnana yoga, Bhakti yoga, Mantra yoga and Hatha yoga) and was given by Mahaguruji Mei Ling to GrandMaster Choa Kok Sui. Be part of a global group where you can experience fellowship, be nurtured in a spiritual environment with regular meetings, updates and weekend retreats. 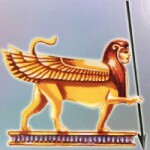 You have the opportunity to undertake higher Arhatic initiations as your bodies is ready to receive higher spiritual currents. Everyone has the ability to “see” clairvoyantly and Master Choa’s techniques are incredibly simple and easy to use. 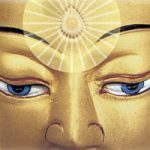 This “hands-on” workshop reveals the hidden principles and ancient secrets to develop the “Higher Eyes” or what has been referred to as “Heaven Eyes” or “Buddha Eyes” in Eastern Literature. By utilizing these more sensitive “cameras”, you will quickly and safely perceive the aura, chakras and other subtle energies. Learn these simple and easy to follow techniques, then take home these special exercises to continually hone your clairvoyant skills! 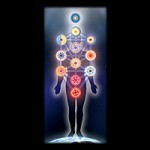 You will “model” the chakra patterns of High Level Clairvoyants to help you see quickly! 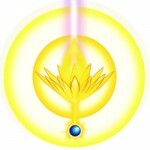 Practice putting yourself in the optimum emotional and mental state to receive energetic images and heighten intuition. The whole class will then practice all the techniques exhaustively! 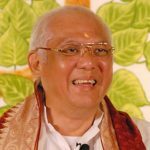 The Four Noble Truths and The Eight Fold Path as taught by Lord Buddha are beautifully expounded and clarified by Grandmaster Choa Kok Sui. Therefore this course is not about religion nor is it only interesting to Buddhists, but it speaks to and is beneficial to everyone interested in self development and the spiritual path. All content property of Ontario Centre for Pranic Healing. All Rights Reserved.